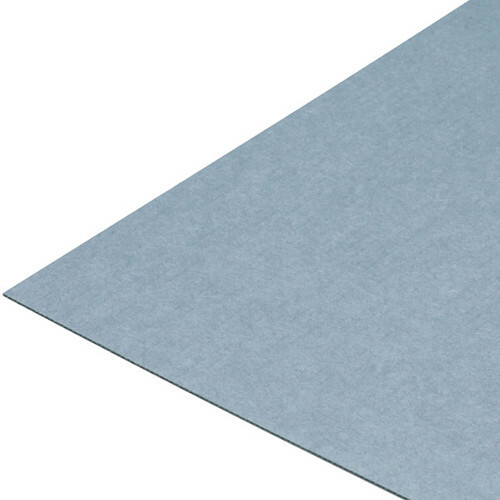 This pale blue-gray 10-pack of 20 x 24" Single Wall Corrugated Boards from Lineco can be used for print backers, picture framing, boxmaking, as dividers, or in any other application requiring a light, sturdy board. Each board is 0.125" thick, and made of bleached virgin fibers which are acid and lignin free. Lineco employs alkaline buffering in their manufacturing processes to improve archival protection from acidic contamination. This buffering is accomplished with a 3% calcium carbonate reserve infused in all three layers. Box Dimensions (LxWxH) 24.1 x 20.1 x 1.5"